Over the past few days I’ve seen tons of posts by tap dancers around the world of pictures, videos, and quotes of Gregory Hines in celebration of his birthday (February 14, 1946). It’s such a beautiful thing to see the tap dance community unite around the celebration of someone who contributed so much to the craft. Indeed Gregory touched a lot of lives. But there’s a thing. Two things really. First, even today, when I mention Gregory’s name in a tap dance class it’s not unusual to have the majority of the students not know who he is. Really, read that last sentence again. 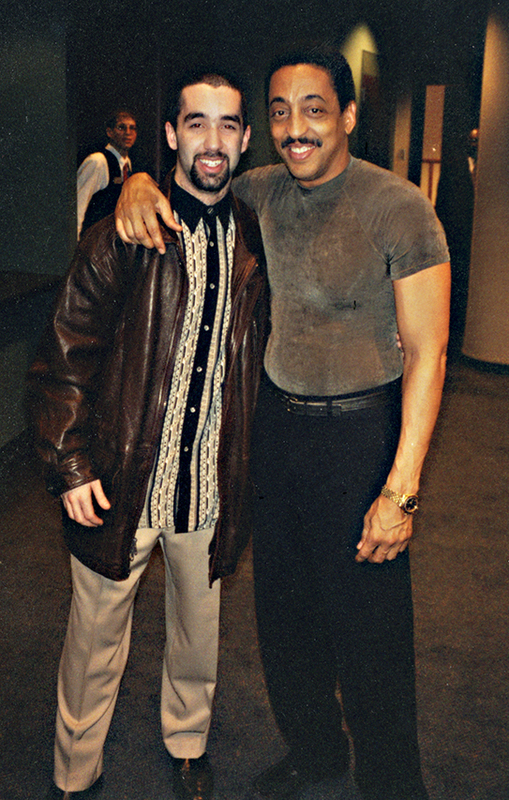 Secondly, when I mention that Gregory Hines was a mentor of mine, the most common questions I receive are either, “So, you studied with him?” or “What steps did he teach you?” There was so much more. First things first. We live in a culture that promotes newness and superficial engagement, so it isn’t a surprise to me that the majority of students in my Queens College TAP I class didn’t recognize Greg’s name when I asked them last week (numbers were about the same for Mikhail Baryshnikov). I’ve gotten the same average results when tallying my classes at Steps on Broadway, Broadway Dance Center (I used to teach there from 2001-2005), and local dance studios when I’m on the road. In the past 13 years, a brand new generation of tap dancers has arisen. Their energy, evolved technique, and artistic pursuits have enlarged the platform of tap dance in amazing ways. However, cultural shifts have made it harder to keep the through line of the oral tradition of tap dance in tact. The way we interact with our history has changed dramatically as technology has developed. We tend towards quick bites of immediately relevant information and away from long sessions of storytelling. Put another way, we are more connected to the information on wikipedia (which I used for some of this article) than the stories of our elders. Additionally, the recent commercial trend toward ingenuity, disruption, and innovation in every field encourages a separation from the past. It is not enough to evolve. We are pressured to be utterly unique. These changes in the cultural landscape have all conspired to make Gregory’s legacy a relic for the new tap dancer. That makes me sad. It wasn’t that long ago that I can’t remember driving with my parents to Baltimore, MD, Reading, PA, New Brunswick, NJ, or even Montreal, just to catch Greg’s one man show. Just to be one of the many tap dancers who would have brought their shoes with them to the show. Just to be called up to the stage and share a moment of dancing with Greg. Just to be around him. To experience him. Gregory wasn’t just an amazing tap dancer (singer, actor, etc.). He was my mentor – a friend, confidant, teacher, brother, uncle, and more. And while I count our mentorship as lasting only about 6 years (even though we knew each other for much longer), Greg’s impact on my life, not just my dancing, is unmistakable. There are too many stories to write for one article. Too many moments that he allowed me to share with him. Too many times he brought me in. There was the time we tried to get into the Eubie Blake Museum on a day that it was closed. The time we went around in a revolving door multiple times just for the fun of it. The time he invited me to his personal practice session at 8am (and I am not a morning person). The time he called to tell me he had cancer. The generosity, support, and encouragement I experienced was only magnified by his willingness to tell me the things I needed to hear, but often didn’t want to. I was young, stubborn, and idealistic. He was the voice of experience – a loving, humorous, and personal voice. 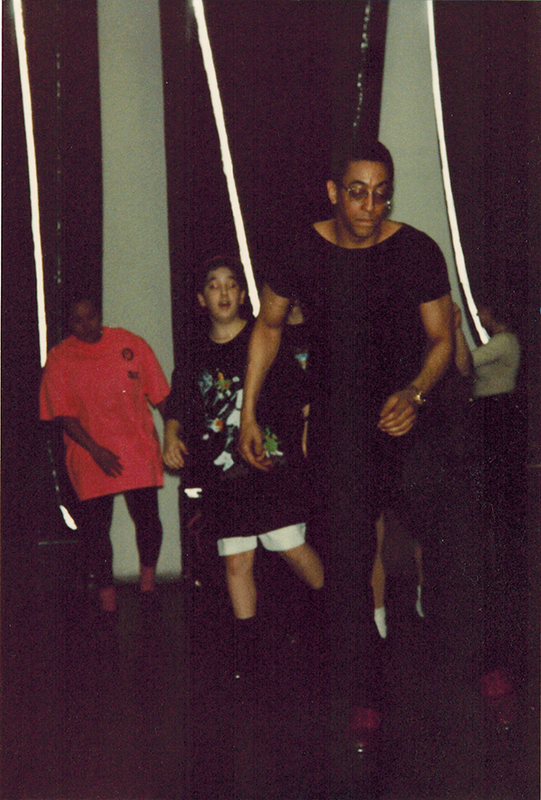 I wish that more people could have experienced the Gregory Hines that I did. The man who would share life with you while entertaining. The man who would entertain, while deeply understanding the challenges of the life – and talked about them in public. It’s time we remember daily, that without the mention of Gregory Hines, and the active promotion of his contributions, the next generation will be at a loss of intergenerational wisdom. We will lose the experiences that he accumulated over the course of his life. We will lose his hopes and dreams and insights. It will be our loss. But we can fix this. It is up to us to ensure that Greg, and the others like him, will be remembered for their contribution to tap dance and for who they were. Greg taught me in the end, that it really wasn’t about the steps. It was about what the steps meant. It wasn’t about the gigs. It was about what the gigs could mean and the people you meet along the way. It wasn’t about tap dance. It was about life. As I was writing this article there were a few people – dancers and friends – that I asked for quotes that I didn’t get to include in the initial post. They are included below. I was also reminded of an amazing resource that is a project of Jane Goldberg’s. 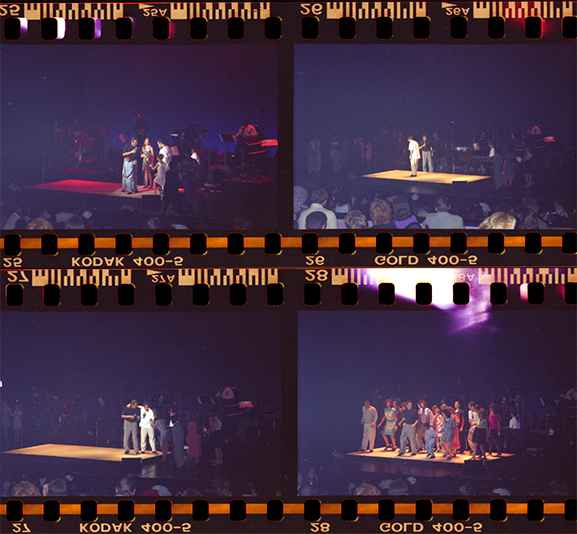 Jane, a tap dancer, writer, and producer who was very influential in the resurgence of tap dance, had a very unique relationship with Gregory. In addition to their friendship they developed an ongoing and intentional exchange of correspondence on a wide range of topics. Jane is currently sharing many of these emails on her website. If you want to have a window into who Gregory was in the form of his own words, visit this link. This is an extremely valuable source. Here’s one on Respect.